DON'T PUT YOUR HEALTH AT RISK! Mold is a health hazard and can cause fever like symptoms such as a runny nose, red eyes, skin rashes and other allergic reactions. CALL IN THE PROS TODAY! ASAP Restoration provides mold testing & removal services in Arizona to home and business owners in the Phoenix Area. We are available 24 hours a day and 7 days a week! ASAP Restoration LLC provides 24 HR mold damage removal, remediation and restoration services throughout the Phoenix area. 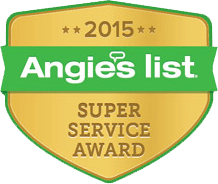 The ASAP team of mold damage professionals in Phoenix are highly experienced in all aspects of handling and removing mold damage from your home or building structure. Mold growth is usually the end result of water leaks, water damage caused by floods, rain, storms, etc. Our Phoenix Mold Damage Restoration company is fully licensed, bonded and insured. ASAP technicians work with your insurance company to make sure that the mold damage restoration work completed in your home is done promptly, professionally, and your home is completely restored back to its pre loss mold free condition. ASAP Restoration now offers a mold inspection special starting at just $69 in the Phoenix area. ASAP offers Phoenix mold inspections including sending out our technician to assess the damage and mold growth. 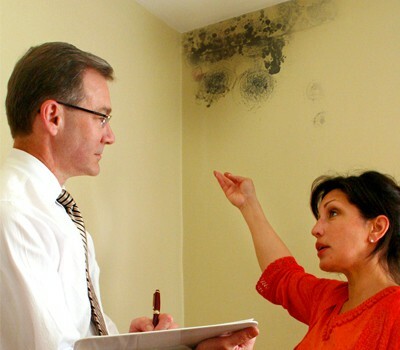 Your mold damage technician will then provide you with a complete assessment of what needs to be done, and identify all areas in your home or building structure that may potentially have mold growth and mold damage. This low mold inspection price is unbeatable!! The ASAP team of mold inspection and restoration professionals will examine the mold inside of your home, office or commercial building to determine the plan of action necessary to restore your location to a safe and mold free environment. Mold damage can cause various health problems. 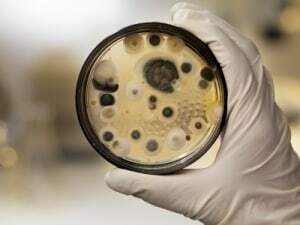 Heath conditions associated with mold contamination can be prevented with proper mold testing, removal and mold restoration services by your Phoenix professional mold restoration technicians at ASAP Mold Damage Restoration.